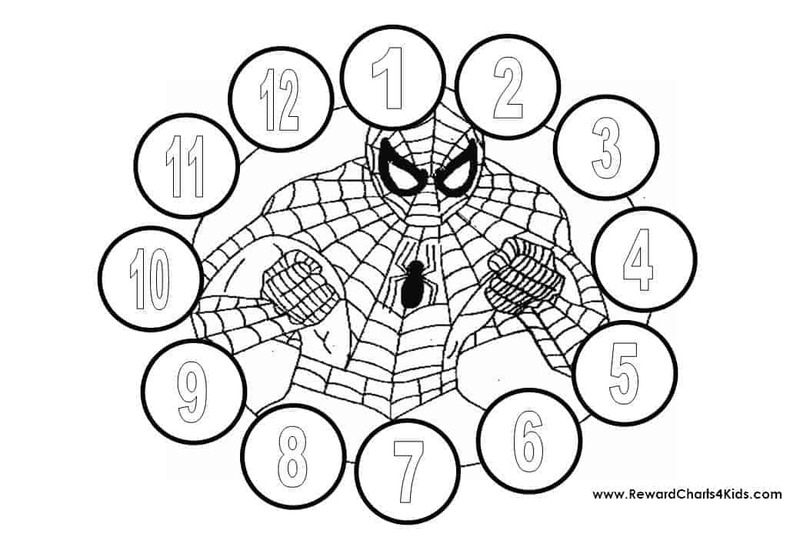 Free printable Spiderman Behavior Charts and Reward Charts for Spider-Man fans! Since the behavior charts are customizable you can add your own title and change the days of the week if you don’t want the week to start on Sunday. You can also add a list of tasks or chores for your child. 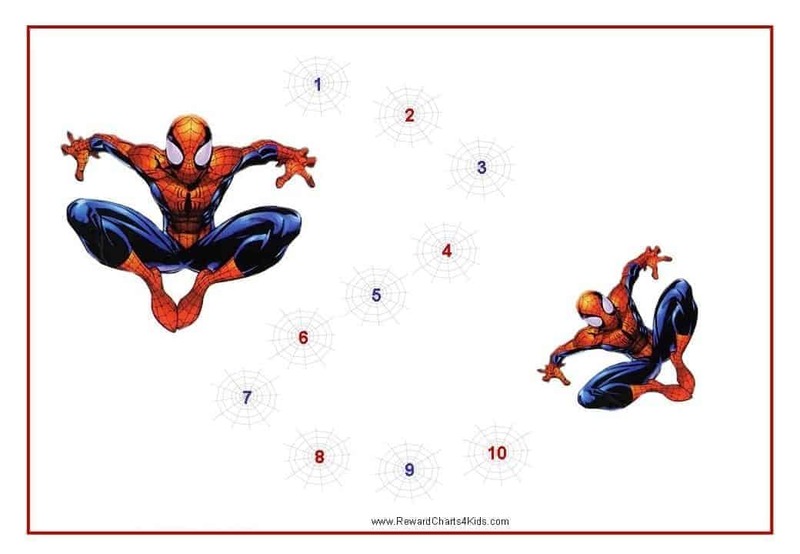 The title is customizable so this Spiderman printable can be used for any purpose such as a chore chart, sticker chart, potty training chart, etc. 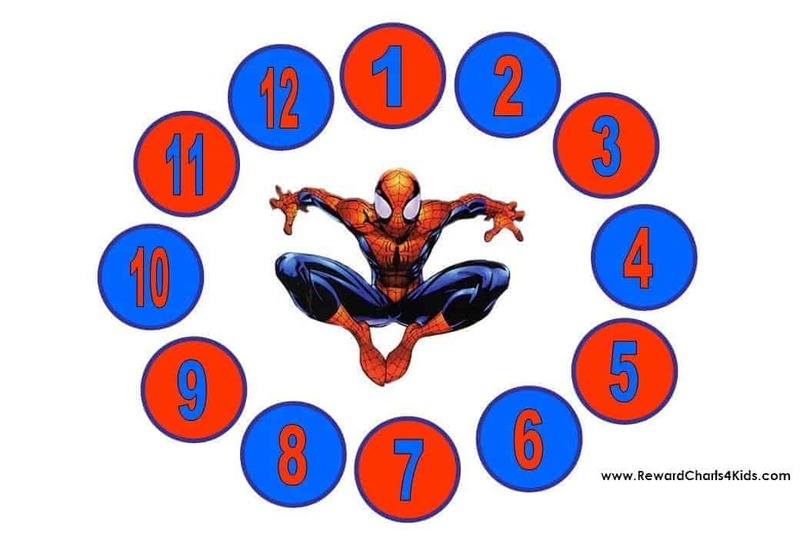 Tip: If you want to create a Spiderman potty training chart then just type potty milestones instead of the tasks. 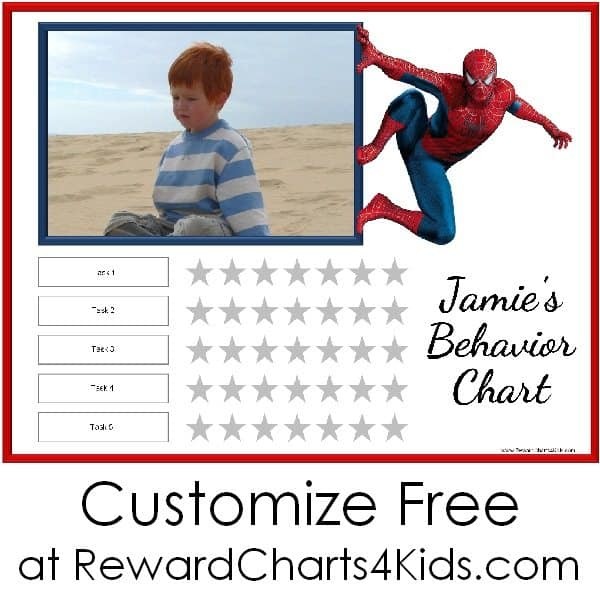 What is the best way to use behavior charts when you have two or more boys that are constantly fighting? 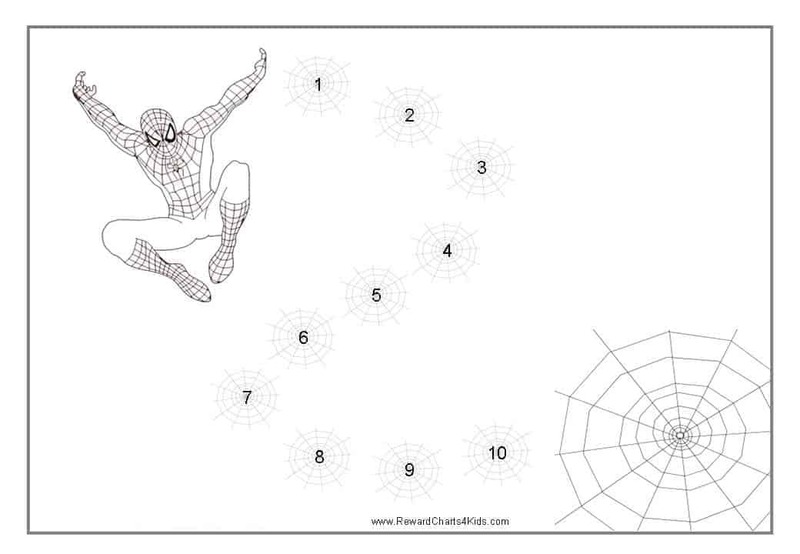 These behavior charts can be used by two or more boys (or girls if they like Spiderman). 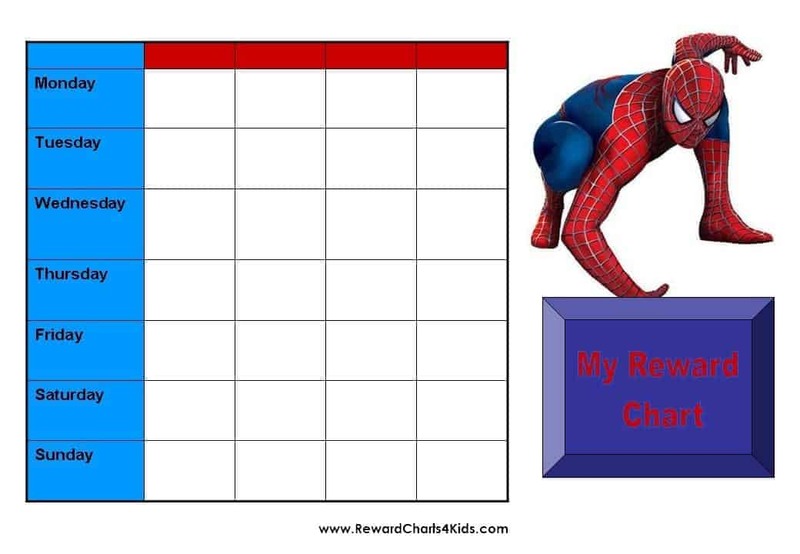 There are three different ways to use a reward chart in this situation. 1) Give each child his own sticker chart. This system could cause competition and conflict and will not encourage them to work together but rather to compete against each other. 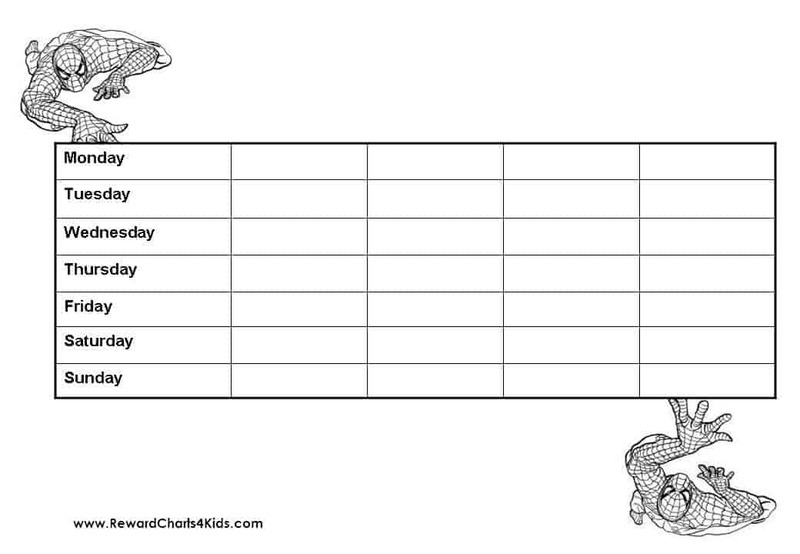 2) Use one of the weekly charts above but write each name in one of the columns to track each person’s progress. This might also cause competition and conflict. 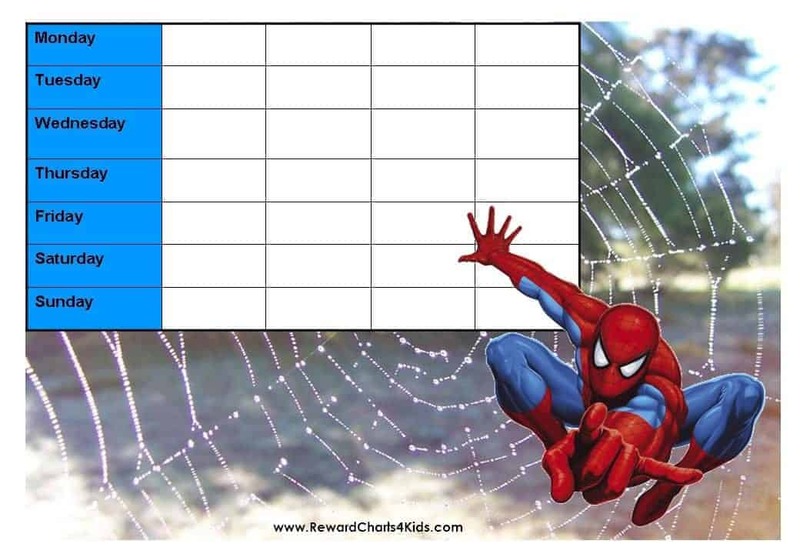 3) Another option is to use one behavior chart for both kids. The boys will need to work together and cooperate in order to achieve one common goal. It is in both children’s interest to cooperate and succeed and therefore they will encourage each other to do so. This method is particularly appropriate when the issues that you are facing require cooperation between the siblings, friends or classmates. For example, two brothers that are constantly arguing and hitting each other. 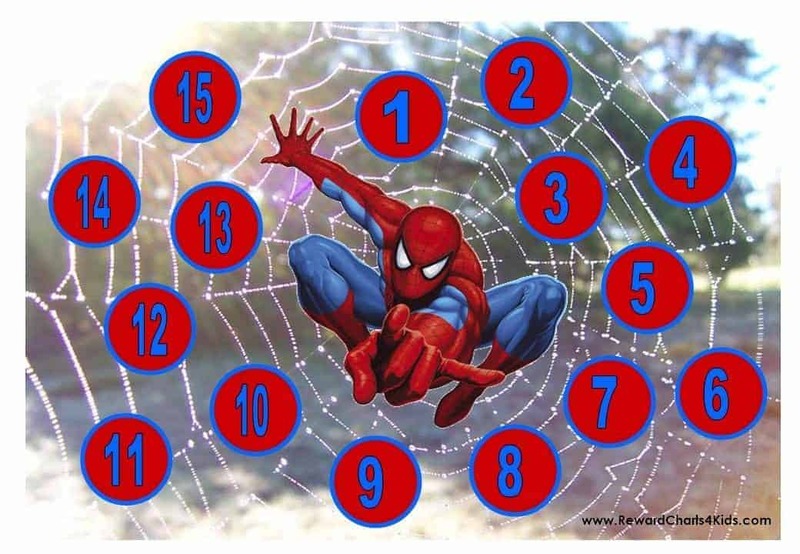 You can use the 15 step chart and tell them that each time they work together, take turns, use words rather than hands to express angry feelings or do a kind act for each other then they will get a sticker on their behavior chart. When they complete the chart and receive 15 stickers then you will all celebrate their accomplishment with an activity that everyone loves. They will then work together to reach a common goal. 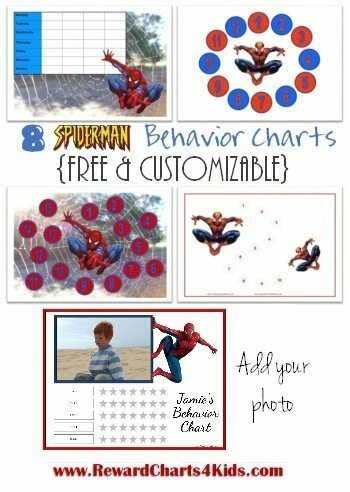 If you prefer another superhero behavior chart check out the other characters we offer on this site. Do you have any monster trucks charts with Grave Digger or Max D ? Sorry, but not at this stage.